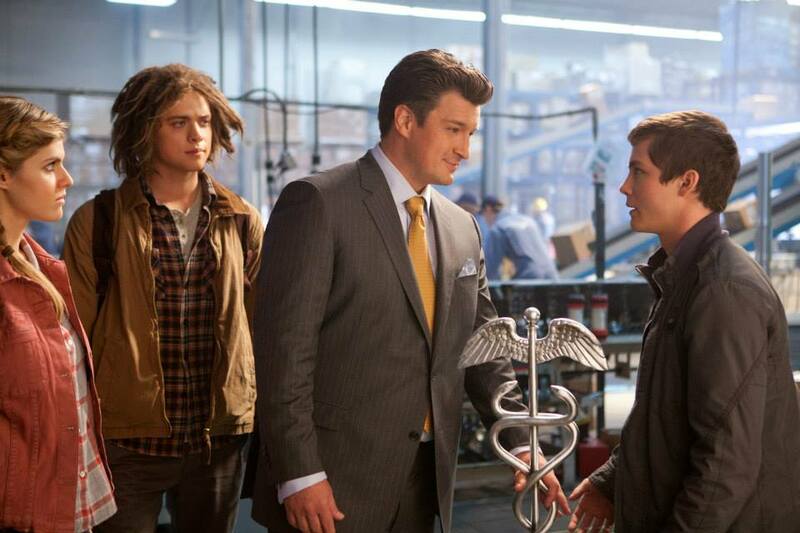 Percy Jackson: He's more like a half-brother on the monstrous side of the family. Like... a half-brother twice removed or something. 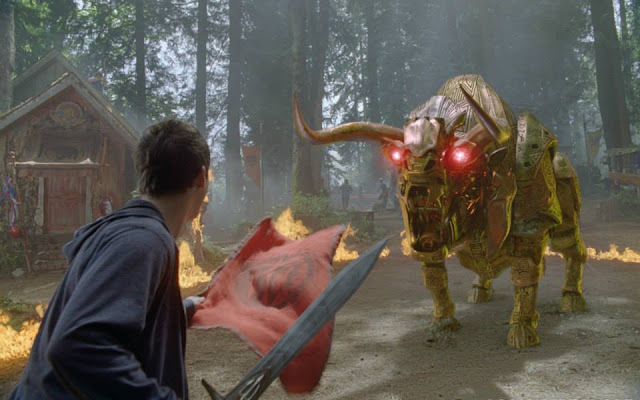 Getting past the surprise that is this sequel existing to begin with, Percy Jackson is back with another adventure, revolving around a quest for the Golden Fleece. For the record, I did actually find things to enjoy about Percy Jackson and the Olympians: The Lightning Thief. It may have mainly been out of my spite for The Clash of the Titans remake, which arrived in the same year, but checking out a modern day take on Greek mythology, structured into the form of a teenage adventure film piqued my curiosity enough, despite some very goofy flaws. If there is something to say about the sequel, ‘Sea of Monsters’, it is that the film plays with less goofy material and strives to add greater stakes to what is occurring. 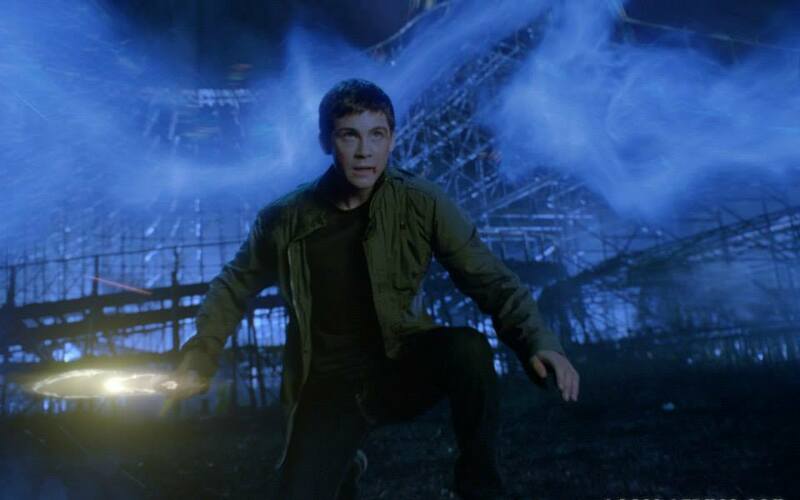 The film still misses qualities that make Harry Potter such a strong franchise, as far as these types of young adult fantasy book adaptations go, but Percy Jackson manages to bring enough spirited energy to make it passable. Based on the book series by author Rick Riordans, ‘Sea of Monsters’ picks up a few years after the events of ‘The Lightning Thief’. The film begins with Percy Jackson, Son of Poseidon (Logan Lerman), recounting the story of a force field that protects Camp Half-Blood. 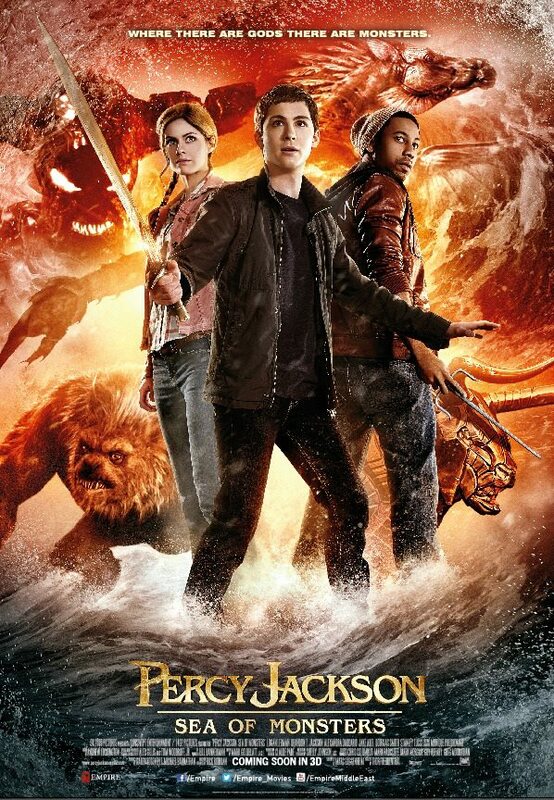 When this force field comes under attack, threatening the safety of Camp Half-Blood, Percy and his friends Grover Underwood, a satyr (Brandon T. Jackson), and Annabeth Chase, daughter of Athena (Alexandra Daddario), head out on an adventure to the Sea of Monsters in order to retrieve the Golden Fleece, which has the power to save the camp. 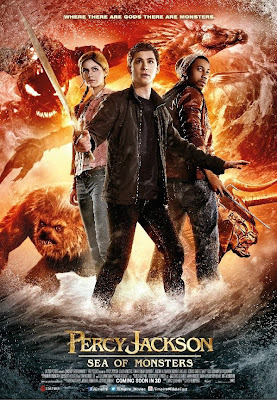 On this journey, Percy is also joined by his cycloptic half-brother Tyson (Douglas Smith), and the feisty Clarisse, daughter of Ares (Leven Rambin). The journey will be dangerous and made more so by Luke, son of Hermes (Jake Abel), who is bent on finding the Fleece for the sake of his own nefarious purpose, which involves reviving the Titan Kronos. I have not read the series of books that made these films possible, but I did familiarize myself with the stories after the fact. From what I have learned, the notion for the follow-ups to the first story was to lean into darker territory, having established the setting and characters. 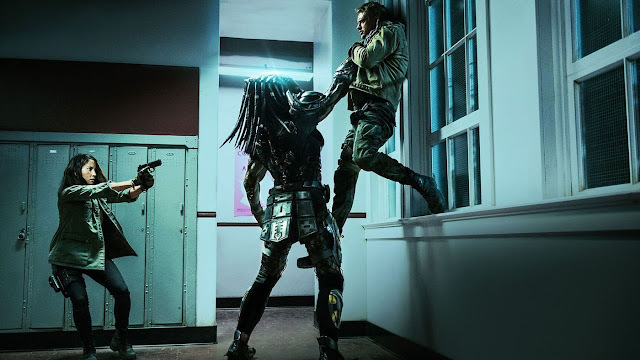 Knowing that, I can see that ‘Sea of Monsters’ attempted to go a bit darker, despite still trying to make a generally acceptable movie for younger audiences. This is fitting, as the characters are getting older and must deal with heavier burdens and what it means to be the son or daughter of an Olympian. With this sort of tone established, it is somewhat easier to accept the film’s main crutch, which involves pandering to a larger audience via pop songs blasted on the soundtrack, some cornball jokes, and a play on pop culture humor, by giving everything a Greek myth twist. Fortunately, the film only relies on this in its early stages, rather than continuing this notion throughout. The rest of the film manages to rely on the actors and their chemistry to get through a plethora of special-effects based scenarios. 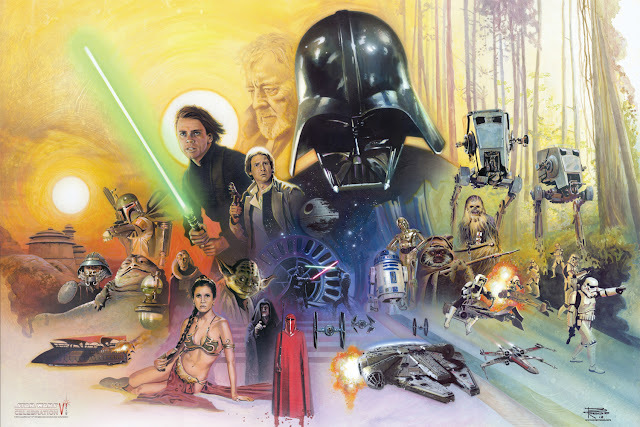 There is a lot of adventure to be found in this film, which is fitting. I cannot say that much of it was particularly clever or entirely original, but I was never bored by what was going on either. The film may or may not have been cheaper to produce this time around (the August release date does seem telling in that regard), but it was consistently solid in regards to the effects work on display, save for a water surfing scene that I could have done without. There is a level of excitement in seeing something like a giant sea monster attempting to swallow our heroes or watching a mechanical fire-breathing bull burst its way into an environment. There is also a particularly well done approach to a flashback, done with a creative animation effort (reminiscent of Deathly Hallows Part 1) that I quite enjoyed. All of this makes for a cinematic world that continues to make the Percy Jackson series intriguing to me, given its modern day approach. There is another hang up that comes down to the charm with the actors versus how much they simply project exactly what their character and purpose is. 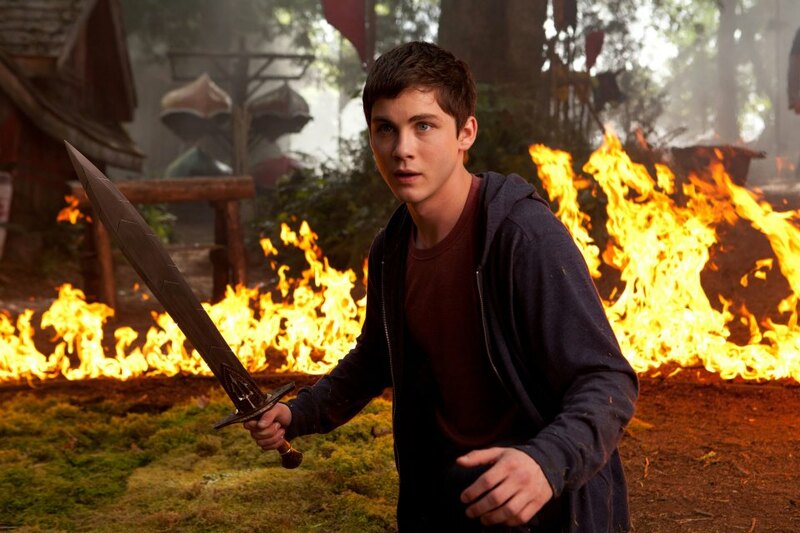 Lerman, for example, is solid as Percy. He is likable and strong enough character as far these types of central lead characters go. Others fare better or worse. Some are intent on exacting one way throughout the film, only delivering exposition or working as a foil to what is trying to be accomplished (I am mainly referring to the character of Clarisse, who is given no nuance). 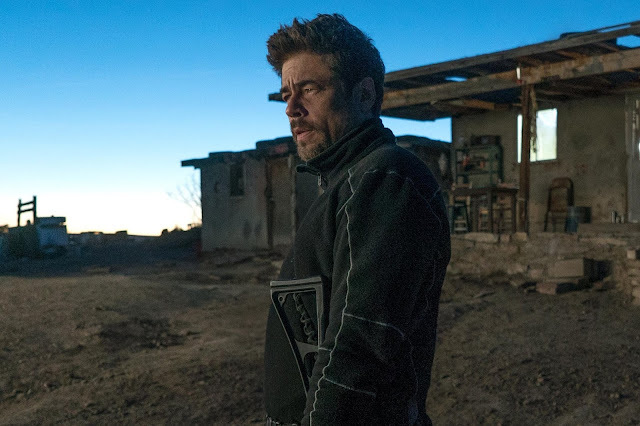 There is not so much a problem with any of the actors, as there is an issue with the film’s screenplay trying too hard to keep the audience caught up with the exact plot and backstories of everyone. 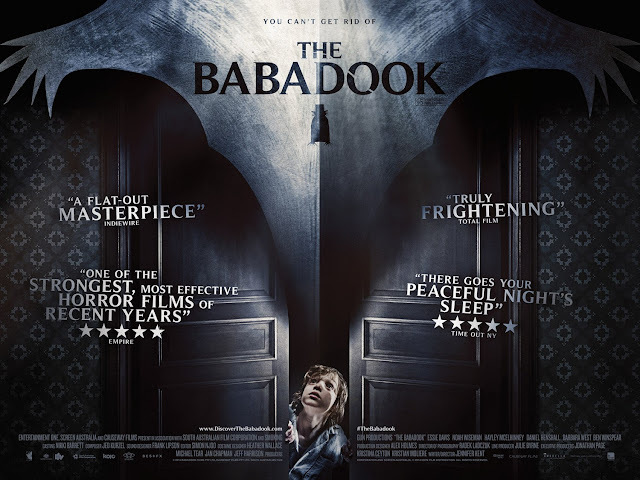 It is these types of issues that ultimately hold the film back from serving as a replacement for the Harry Potter franchise or one that can find sleeper success in the genre it is representing. 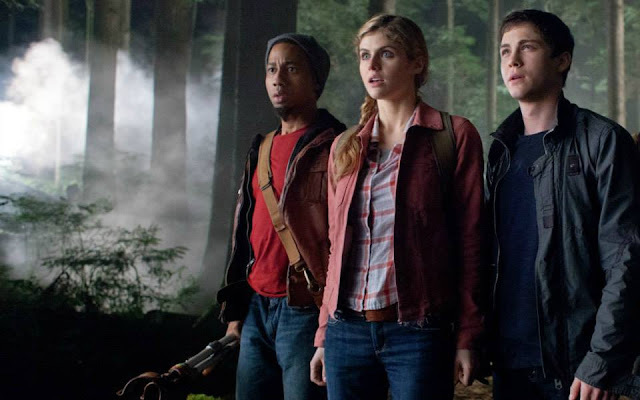 There is a lot of fun to be found in Percy Jackson: Sea of Monsters, but it ultimately feels like disposable fun, rather than a series I am excited about returning to in the future. 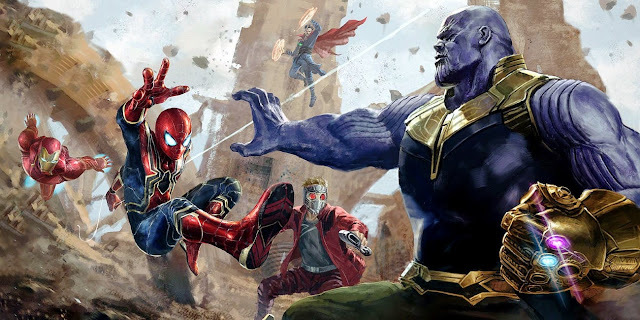 It does not hurt that there is enough of a connection made to keep future installments from feeling entirely irrelevant, but if a cameo by Nathan Fillion makes for the best scene in the movie, work needs to be done in order to make this series entertain as consistently. Hermes: My dear young cousin, if there's one thing I've learned over the eons, it's that you can't give up on your family, no matter how tempting they make it.